There’s no doubt that Colorbond roofing is becoming more and more popular in Melbourne and across Australia. You only need to look around your suburb to see all the new and renovated houses that are sporting stylish Colorbond roofs. So why are so many people choosing to install Colorbond roofing for their homes? Colorbond roofing is specifically designed and engineered to survive in Australia’s harsh conditions. You can be sure that Colorbond will stand up to the blistering sun, pouring rain and hail, and salty ocean winds. Not only that, but Colorbond roofing is available in a wide variety of colours that have been inspired by the Australian landscape. From “Woodland Grey” to “Deep Ocean” there is a Colorbond colour scheme that is sure to look great on your home and perfectly match the surrounding area. Everyone wants their roof to stay leak-free and to look great for as long as possible. 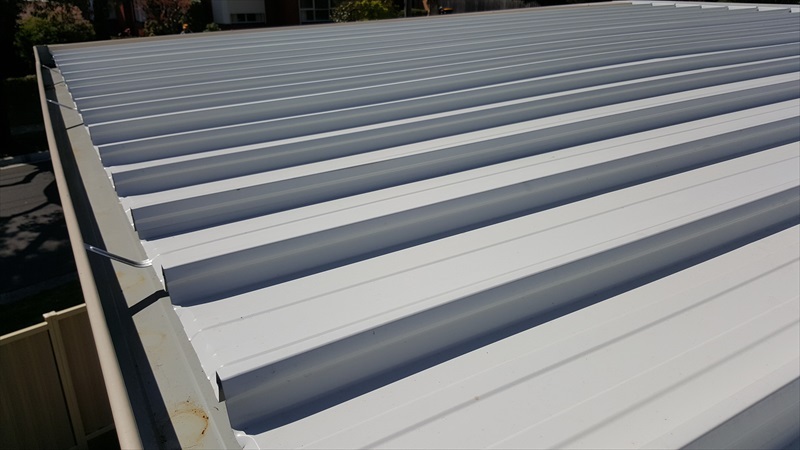 Colorbond roofing is covered by warranties from Bluescope Steel and will continue to be one of your home’s assets for around 50 years. There’s no need to deal with brittle tile roofing that gets damaged and causes leaks. Colorbond roofing is durable, reliable and will resist the growth of moss and lichen for much longer than terracotta tiles. Colorbond can help you reduce your energy bills. It’s thermally efficient, meaning it’s easy to heat up and cool down, and extremely easy to insulate. Installing Colorbond will reduce your need for heating and cooling and reduce your impact on the environment. Not only does Colorbond come in a range of beautiful colours, but the design itself also looks great on homes. The material provides clean lines and a low-profile rooftop that suit any type of architecture and looks especially great with modern home designs. Do You Have a Colorbond Roof? Colorbond roofing does far more than just keep the weather out of your home. It’s a beautiful, long lasting asset that can make your home more comfortable for you and your family. You can improve the look and value of your home by installing a Colorbond roof. But make sure you get the most out of your investment by trusting Colorbond installation experts.